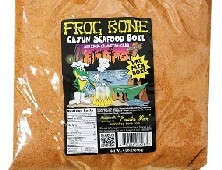 Home > New Orleans Food > Frog Bone Fire Roasted Salsa, 16 oz. Oh yes we did! Our newest product, Fire-Roasted Salsa, is sure to please the most discriminating salsa aficionado! Use for dipping, spreading, cooking--the possibilities are endless! 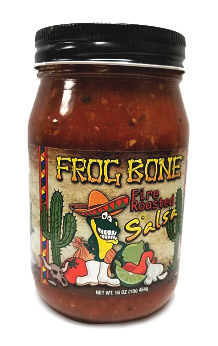 Frog Bone's newest product, Fire-Roasted Salsa, is sure to please the most discriminating salsa aficionado! Use for dipping, spreading, cooking--the possibilities are endless! Ingredients: tomato, onion, jalapeno peppers, garlic, bell peppers, cilantro, habanero peppers, lime, black pepper and cayenne.